There is hardly a single flaw with Howard Hawks’ His Girl Friday. Everything, from the sparkling rapid-fire dialogue to the evident chemistry between the inimitable Cary Grant and the empowered Rosalind Russell works together to create a scathing satire, a tongue-in-cheek comedy, and a grandly entertaining movie. 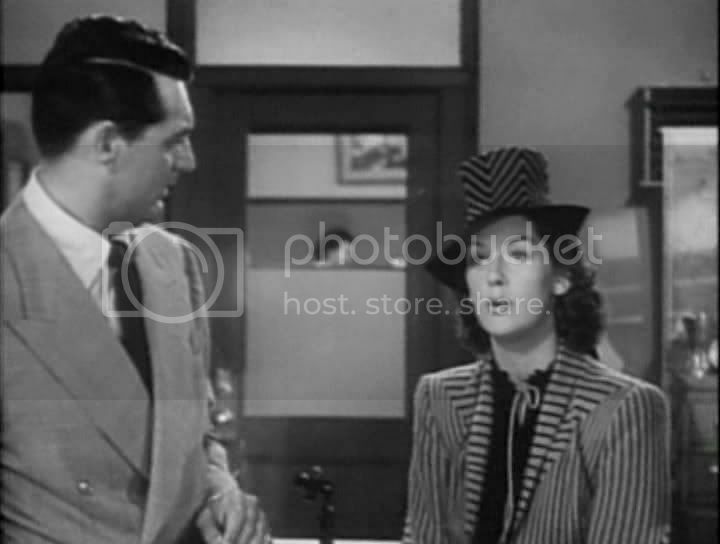 There is a lot of talking in His Girl Friday, more than most movies these days might be allowed. But it doesn’t get dull; instead, the dialogue is crisp and inundating, with sprightly wit and sly innuendos constantly tossed back and forth. The two leads are charismatic and delightful, even as they constantly exhibit morally skeptical behavior. 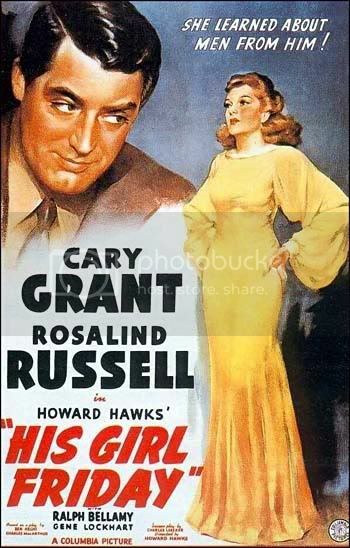 Almost never before had such a strong female character dominated the screen; Russell’s Hildy Johnson is not afraid to pursue the lifestyle she enjoys. Hildy is the ex-wife of newspaperman Walter Burns (Grant), the powerful and duplicitous editor of a major East Coast newspaper. He’s a charming and wonderful snake, prone to using anyone and everyone to get a scoop. But, as an opening title screen informs the audience, this is set in the “dark ages” of the business, when a reporter would do anything to get a story. It adds, “Incidentally you will see in this picture no resemblance to the men and women of the press today.” A laugh right out of the gate. Hildy visits Burns in his office, where she has been his top reporter for quite some time. She’s back after an extended sabbatical to tell Burns that she is engaged, and she’s brought along her fiancee. This bit of information, and the desire to have both his best reporter and his best girl back, leads Burns on a riotous trek to delay or cancel his ex-wife’s impending nuptials. 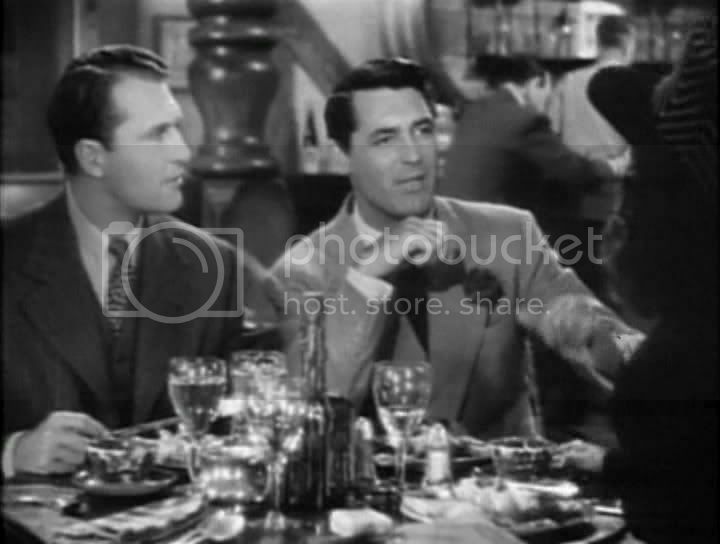 Fortunately for him, the fiancee, Bruce Baldwin (Ralph Bellamy), is a bit of a tool and easily manipulated. Burns’ efforts frequently go astray, but he will stop at nothing to keep the budding duo apart. Luck tends his way when a tremendous story breaks involving a man scheduled to be hung for murder. Political motivations mean that the mayor and the sheriff are intent to see the man hung three days before the upcoming election, but Burns’ paper and the governor have other ideas. Only Hildy’s way with the word will give Burns what his paper needs, and it is obvious that Hildy is the only woman Burns has ever wanted. None of the characters are likeable, on the surface. Hildy is cynical and wary of the fast-talking Burns, but can’t bring herself to break away from the exciting life of a reporter. Burns’ actions are often reprehensible; rarely has such a narcissistic character (dis)graced the silver screen. But these are the most sympathetic characters in the film, as the shallow and boring Baldwin comes off as dull and naïve. 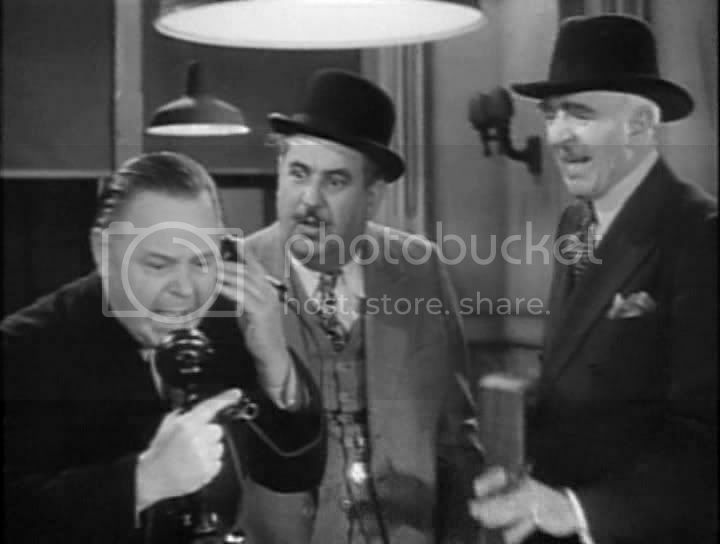 Hilariously, in the end the film lets the morally dubious behavior off the hook rather lightly, despite the strict Hayes Code that often demanded illegal or immoral actions to be punished. This is the charm of the picture, turning all manner of regular movie-going on its head (especially for the beginning of the 1940’s). The audience roots for Burns and Johnson, eager for them to be reunited and continue doing what they love. 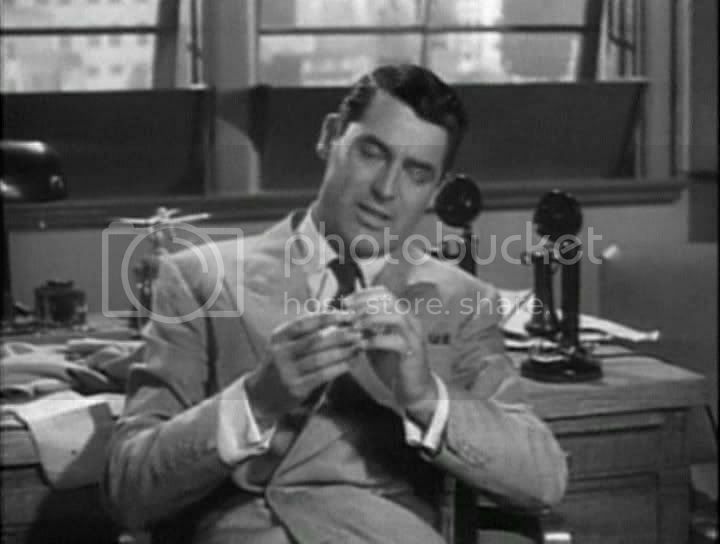 His Girl Friday comments on a great number of topics, ranging from the reliability of the press to the unsightly state of politicians. One is hardly presented more favorably than the other. The press is manipulative and cruel, even if they don’t want to be, as evidenced by a scene in the courthouse press room where the male reporters defend their actions against a hysterical woman. They have sacrificed a great deal for their jobs, just as Burns has sacrificed a normal relationship, and Hildy, for the sake of the paper. The politicians are no better, offering bribes and jobs to anyone willing to help and bend the truth, but they are less remorseful than the reporters. More significantly, especially for the time period, is the way Hildy is treated by the film. She’s a reporter, one of the best, and is never treated as less than any of the male reporters. There’s a moment of regression in the way the movie views her toward the end (involving some heretofore unseen tears), but even this is understandable given the events of the final half hour. She never faces any intimidation for pursuing what she loves to do, and is instead questioned when she states that she wants to settle down and raise a family. For this, alone, the film is worth watching. Add in fantastic dialogue and an amazing Cary Grant (truly, only George Clooney has recaptured a fraction of Grant’s charisma in the modern period) and you’ve got one of the smartest, funniest comedies ever. This entry was posted in 3 pirate flags, 4 stars, H, Movie Reviews, Movies I Truly Love, Pirate Flag Rating, Star Rating on March 25, 2010 by Tim Irwin. What the atricle says is “Grant was one of only three presidents to graduate from a military academy”. Grant and Eisenhower graduated from West Point and Carter graduated from the Naval Academy.